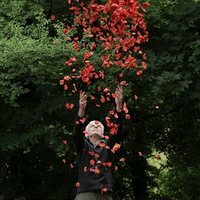 The story follows Andy, a British photographer, sculptor and environmentalist on his exploration of the layers of his world and the impact of the years on himself and his art. As Andy introduces his own body into the work, it becomes at the same time even more fragile and personal and also sterner and tougher, incorporating massive machinery and crews on his bigger projects. 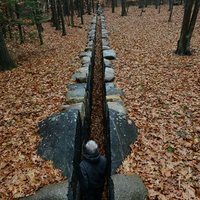 Riedelsheimer's film manages to illuminate Goldsworthy's mind at the same time that it reveals his art. 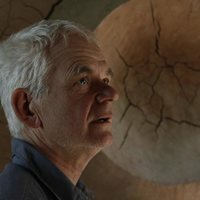 This film is the return of director Thomas Riedelsheimer collaborating alongside Andy Goldsworthy sixteen years after the release of the film 'Rivers and Tides: Andy Goldsworthy Working with Time', in which they had already worked together. 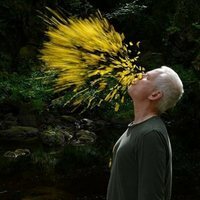 Write your own 'Leaning Into the Wind: Andy Goldsworthy' review.